Having Fun First: Double Digits, Subtraction, Regrouping... OH MY! Double Digits, Subtraction, Regrouping... OH MY! 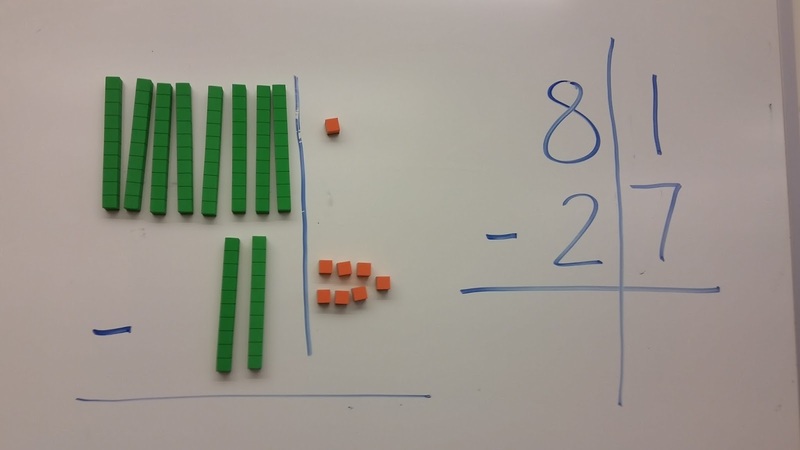 I just have a quick post tonight about a great hands on tool I used with my 2nd graders when teaching regrouping with subtraction (OH MY). I don't know about your kids but mine were staring at me like a deer in the headlights when I introduced not only double digit subtraction, but with regrouping?! Wait... what is regrouping? Yep, I felt bad for my little nuggets. Luckily, I had spotted a teammate using these little gems when we were working with place value earlier in the year. I decided to make the numbers more visual to the kids and really show those numbers moving. Oh wow I saw lightbulbs go off. It was great I even did a teacher happy dance (true story). 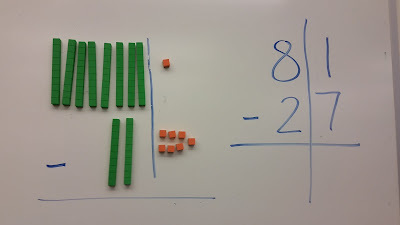 Physically moving those tens and ones right in front of them really helped my kiddos make the connection. We also have been chanting A LOT.. "If there's more on the floor...You go next door!" They love that one. I hope you can use this and if you already are AWESOME! I am not saying that I invented this approach by any means but, if one other teacher sees this, uses it and kids connect... success!